Mormon membership statistics are accurate. The inspiration for "Jurassic Park"
The idea to look at Mormon growth figures as a logistic function came to me because I have a background in tropical forest ecology. 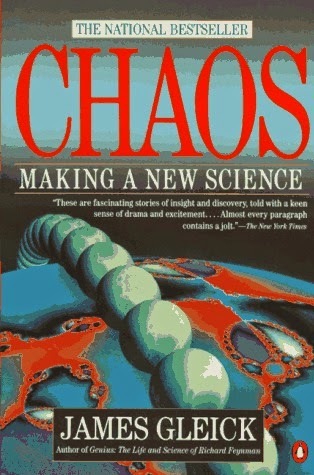 As James Gleick pointed out in his popular 1987 book about chaos theory, ecologists are in a bit of a conundrum. On the one hand are the mathematically precise and elegant equations of population dynamics, on the other the unrruly realities of nature, aptly described as a “war of all against all” by Thomas Hobbes. Ecologists must study nature, gather data, put it in tables and charts, and see if it makes them any the wiser. This is what I did with the model for Mormon growth. It is important to realize, then, that the predictions of this model are not formally derived from the logistic function. Still, when the field work is done, the seductive call of mathematical verification will be irresistable to most ecologists. Even if no exact fit is found, a lot can be learned precisely from those areas where reality refuses to submit to the model (one of nature’s persistent bad habits). To mask their defeat, researchers call these “areas for further research” and apply for extra money to do more field work. In the case of Mormonism101.com’s model for Mormon growth, the main issue becomes clear once you realize that the point of maximum growth in a logistic function (the technical term is “inflection point”) is always half the maximum population size. In other words, if the maximum number of Mormons is to be 20 million, the inflection point is at 10 million, a milestone that was reached in 1997. The data, however, indicate that the point of maximum growth was reached in 1962, at roughly two million members (see Figure 3 here). That would put the maximum at four million. Rather than turning to technical solutions such as Gompertz functions or multiclustered models (both of which, I think, are promising areas for further research), let us ask which real-world phenomenon could be at play here. This brings us to the second assumption of the model, that Mormon growth statistics are accurate. For the purposes of population dynamics, they are not. They include a large number of “inactive” Mormons who no longer attend church, who no longer self-identify as Mormons, or who don’t even know they are counted as Mormons. Unless such inactive members suddenly decide to have their children baptized, they no longer contribute to the growth of the Mormon population. Moreover, the Mormon church maintains a large file of lost members. A few years ago, Mormon researcher David Stewart estimated the size of this file to be “2.6 million of the [then] 13 million members”. These members remain in this file until 110 years after they were born, even though a good number of them will have died long before that (Canham 2005). Being dead has a double effect on population growth. Not only do dead people no longer contribute to population growth (like inactive members), but they’re also not supposed to be counted as part of the population anymore. It is possible that not even this number will be reached as the lost members which are removed from the records at 110 years are being replaced at an increasingly lower rate.